It was interesting to read the report by Anup Roy “ Das favours flexible policy objectives” (January 19). The speech delivered by the Reserve Bank of India (RBI) Governor at the Vibrant Gujarat Summit is nothing extraordinary. It neither spells out the road map for new dynamism nor any noticeable policy shift by the central bank. It aims at bringing the central bank's actions in alignment with the expectations of the government: Mainly a reduction in interest rates with the hope that it will spurt investments and shows the bank's subservience to the government's policies. The demand by industrialists for a sizeable reduction in interest rates in the February policy announcement is nothing unexpected. One wonders whether they would be satisfied even with a zero interest rate. 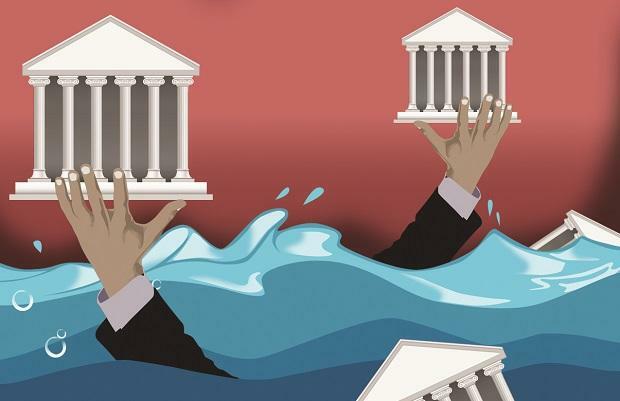 As far as cleaning up the balance sheets of the public sector banks is concerned, the less said the better. Further, a marginal reduction in the non-performing assets situation is no matter to rejoice, there is miles to go. Is Mr Das listening?